The current scientific consensus on the idea of learning styles is clear: People often express a preference for learning in a particular way, they may even have distinct ways of thinking, but the notion of differentiating teaching to match students’ learning styles is one that lacks supporting evidence. We can have a semantic argument about whether this means that learning styles ‘don’t exist’ but I don’t think that advances us very far because it is this last meaning – learning styles as a guide to differentiation – that is the one that is commonly understood in the teaching profession. The fact that differentiating according to learning styles is a practice that lacks evidence, coupled with the fact that differentiation is time-consuming for teachers, means that it is important to get the message out there. If you are differentiating your lessons to suit your students’ learning styles then you are wasting your time. On EduTwitter, it is easy to assume that everyone has received this message by now. But we all know that EduTwitter is not the real world and there is plenty of literature and training out there that still perpetuates the learning styles myth. Now, one prominent proponent of learning styles, Carol Black, has written a blog in defence of the idea. Black seems to think that the idea of matching teaching to learning styles is a ‘straw man’ i.e. nobody actually thinks that we should do this. However, it is not clear to me what she therefore thinks is the value of learning styles theories for teachers. But that does not seem to be the main point of the piece. Is this really about sexism? Are learning styles debunkers really just a bunch of men having a go at what they perceive to be the silly beliefs of women? No. It is about science, and men and women can access scientific truths equally well. Disappointing that 3/4 education experts refer to 'learning styles' re what makes a good teacher http://t.co/bP1jyOQjJU #evidencebased ? @ThatIanGilbert thought it might have been. I agree with your point that we need to do what works; fact is, learning styles don't work. Are there other pervasive educational concepts that have been as thoroughly debunked as "The Myth of Learning Styles"? Next Post Can you teach ‘wisdom’ in a general way? “A disturbing feature of this discourse in education is the frequency with which it takes the form of male researchers and pundits telling female educators that their views on learning are cognitively childish and irrational and should therefore be disregarded. Cognitive psychologist Daniel Willingham, a prominent debunker, has shared some rather patronizing speculations as to why the vast majority of (mostly female) teachers persist in thinking their students have different learning styles (“I think learning styles theory is widely accepted because the idea is so appealing. It would be so nice if it were true.”) This argument by Carol Black is a textbook case of the ad hominem fallacy. Identity ideology is one gigantic logical gaffe. “…it was reasoned, not all children are alike. Some are global perceivers by nature, some are analytic; some are auditorily attuned, and some are visual…wouldn’t it be wise to tailor instructional processes and materials to children’s perceptual styles or dominant modalities? Now, the most cursory search will reveal dozens of female academics who’ve concluded that differentiating teaching to suit a child’s perceived learning style is a waste of time. Don’t worry Greg. If it isn’t sexist, it is only a matter of time before someone claims to dispute learning styles is racist. I’m kidding of course. It has been claimed ages ago, and continues to be claimed. No matter how much I argue that learning Maths is about *overcoming* your natural preferences in thinking, regardless of your melanin levels, I am told that Maori need to be taught differently. The result is that after years and years of sustained effort, using those progressive ideas, Maori achievement in most of NZ remains stubbornly behind. No amount of trying to adopt their preferred “learning style” seems to be working at all. Yet schools like mine, that just teach everyone the same way, and expect everyone to deliver results regardless of melanin levels, have Maori performing above the average. Note: I’m not claiming all cultures need to be treated the same by teachers. I do treat my Maori students in a different, more culturally appropriate way, regarding discipline, behaviours etc. That doesn’t carry over to how I teach the subject itself though. Maori may feel differently about things, but they *reason* exactly the same as everyone else. Why is acceptance of the idea so high? No one really knows, but here’s my tripartite guess. First, I think by this point it’s achieved the status of one of those ideas that “They” have figured out. People believe it for the same reason I believe atomic theory. I’ve never seen the scientific papers supporting it (and wouldn’t understand them if I had) but everyone believes the theory and my teachers taught it to me, so why would I doubt that it’s right? Second, I think learning styles theory is widely accepted because the idea is so appealing. It would be so nice if it were true. It predicts that a struggling student would find much of school work easier if we made a relatively minor change to lesson plans—make sure the auditory learners are listening, the visual learners are watching, and so on. My question is this: why do you neglect to mention that one reason people believe in learning styles is that there are reputable research scientists who believe that the evidence supports the existence of learning styles? It’s not difficult for a person of reasonable intelligence to understand that the data don’t support the use of simplistic models of “matching’ instruction to V-A-K styles. It’s perfectly reasonable to ‘debunk’ that idea; I’m not aware of any serious researchers who advocate it at this point. But saying ‘learning styles don’t exist’ on that basis is like saying ‘personality doesn’t exist’ because you think a certain personality quiz lacks validity. There are extremely reputable scientists who *do* believe that more complex models of learning styles both exist and will ultimately have meaningful applications in education. You’re perfectly entitled to disagree with them; the data are inconclusive, and reasonable people may differ in how they interpret them. But it becomes patronizing to teachers to speculate about their cognitive biases while failing to mention that this is an actively contested area of science. The ‘straw man’ fallacy is to define the term ‘learning styles’ as equivalent to the matching hypothesis when no serious researcher in the field defines it that way. Clearly many teachers *do* define it that way — again, debunk away on that issue. But many teachers define the term more broadly, and apply it more broadly. Instead of informing teachers about the data & the range of legitimate scientific opinion, and then sharing your own opinion, you are presenting your opinion as fact –– in a way clearly intended to shape teachers’ (and parents’) views to match your own. That’s not respectful or intellectually honest. In the piece you tweeted today in which you “review new evidence on learning styles,” you again fail to cite the most prominent scientists who specifically contest Pashler’s (and therefore your) views. I’ll link them below for anyone who’s interested. We are not all academics. Could we please have links that allow us to read the evidence. Keeping non-academics out of these conversations is an issue currently drawing some heat. For what it’s worth I followed up on the second link and it appears to have nothing to do with learning styles, at least as we are expected to teach them. Type I and Type II *thinking* isn’t at all the same as different ways of *learning*. As a Maths teacher I need to fight people’s desire to use non-logical thinking, no matter that it might be better in other circumstances. Once again, that people prefer one doesn’t help me as a teacher, as I have to override that, in their best interests. I’d like to see evidence that Type I thinking leads to better maths outcomes! I could be wrong, as I can’t access it though. Irony alert. Isn’t presenting opinion as fact exactly what Carol did with her too male argument. She bothered to come here and respond to Dan while ignoring a major issue where the facts presented by Greg don’t match her opinion of the facts. At least the authors of the new work are honest enough to pick a new name “Intellectual Styles” to distinguish their work from the learning styles theory that it seems many men and women experts in the field see as completely debunked. I don’t think she’s claiming any clear applications for math teachers at this point; it’s too soon for that. An obvious thing that many math teachers incorporate into their teaching might arise from the “context-dependency / independency” axis. (i.e. some kids do better when math is more contextualized; others are fine with very abstract problems.) 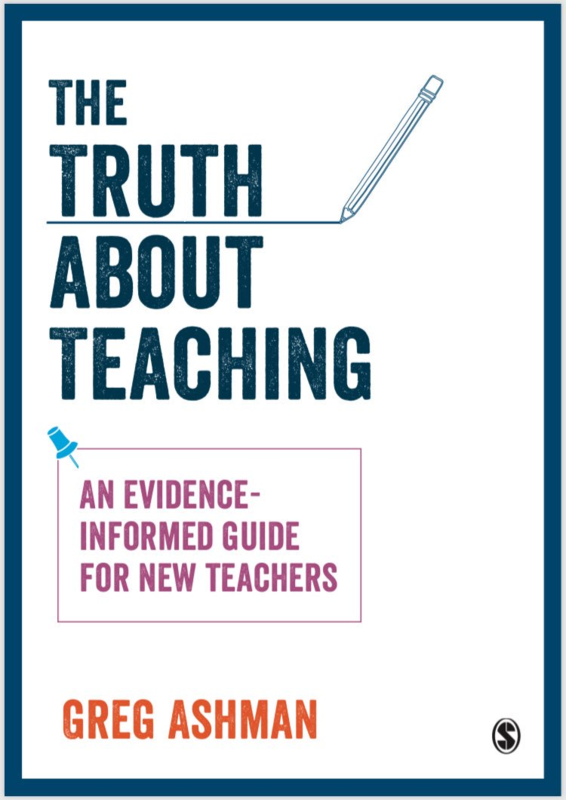 So in a sense some of this may not provide anything new for teachers so much as provide researchers a framework for investigating the science behind the things that good teachers already do well. And to reiterate: both Zhang and Kozhevnikov believe that the terms intellectual/cognitive/learning style are just semantic variations that describe essentially the same phenomenon. (i.e. some kids do better when math is more contextualized; others are fine with very abstract problems. For me, the point of maths is to move the first group* into the second group. Accepting that some students are happier when questions are contexualised is part of the job, but if I just give them problems in context then they never move on. And the maths power is all in the abstraction (which can then be fitted into multiple contexts, if you get good). Which is why learning styles have no use to me — even if correct, they simply aren’t helpful. No 4×4 grids help when I teach algebra, because by its very nature it is rule-based, high cognitive and self-driven. An English teacher might need to move students who prefer rule based questions to areas of intuition and empathy. That they move in the opposite direction to me is part of why we have school and not just teach ourselves. We need to learn different ways of thinking. We need to be forced to learn things that aren’t natural to our own way. This is an assertion that requires a whole pile of evidence. Students tend, IMO, to enjoy any subject that is well taught. People like to make progress. If they don’t make progress they get bored, even if they are naturally good at the subject. This seems to be one of those “post hoc, ergo propter hoc” arguments. Kids often find school tedious, therefore they are being taught the right way. Perhaps they aren’t being taught well? Perhaps tedium is simply part of the deal (of course it is — anyone who thinks you can get everything in life you want without tedium hasn’t reached adulthood** yet ). * Isn’t it funny how it’s always assumed that students prefer context to abstract. In my experience students overwhelmingly prefer abstract. That is simple and clean, and the answers come out right or wrong. It’s adding context that confuses and annoys them. ** Children fully expect school to be tedious at times. I’m amazed at how they put up with rubbish that no adult would put up with — like having to listen to unbelievably boring assemblies and “important” life skills. Why some adults won’t accept that tedium is part of life and insist that we must erase it (while meanwhile having jobs that most people would consider ineffably tedious) is one of life’s little mysteries. “This brings me to the thing that will not allow me to wholeheartedly dismiss learning styles in the way that is suggested by current critics: my own experience with learning styles in the teaching and learning domain. I have had students who, when engaged in classroom dialogue about their educational experiences in conjunction with learning styles theory, personally attested to the power of the sense-making that this enabled—in addition to a heightened sense of self-efficacy and persistence with academic work they found challenging. Many of these same students then went on to use their personal understandings of learning styles as a tool (amongst many) to develop broader metacognitive strategies for success in university. I have even had a parent of a student contact me with effusive thanks, explaining that their child, who had typically felt at odds with educational systems, was pro-actively considering how to leverage their cognitive strengths in their undergraduate education as a result of engaging in a critical exploration of learning style and what it meant for learning in university.